All Aboard!! ABT's newest addition to the 2015 season is bound to be one of the best. 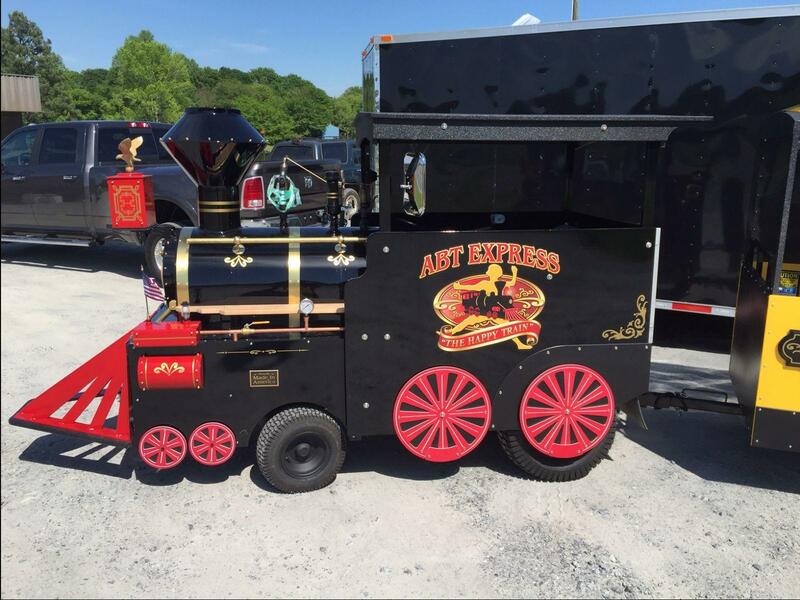 The ABT Express "Happy Train". 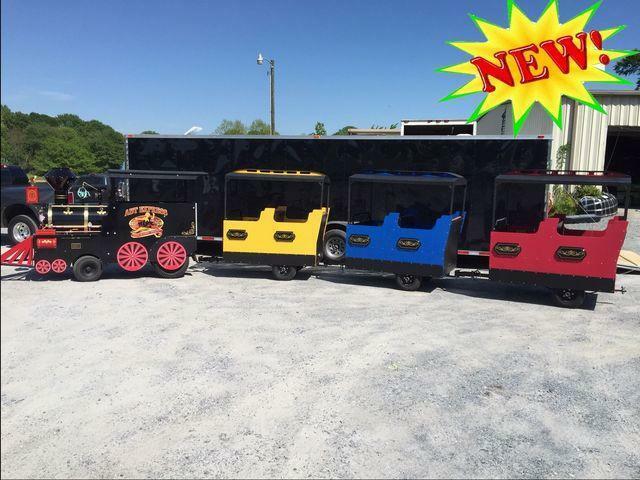 Our new Trackless Train that kids and adults alike will enjoy. 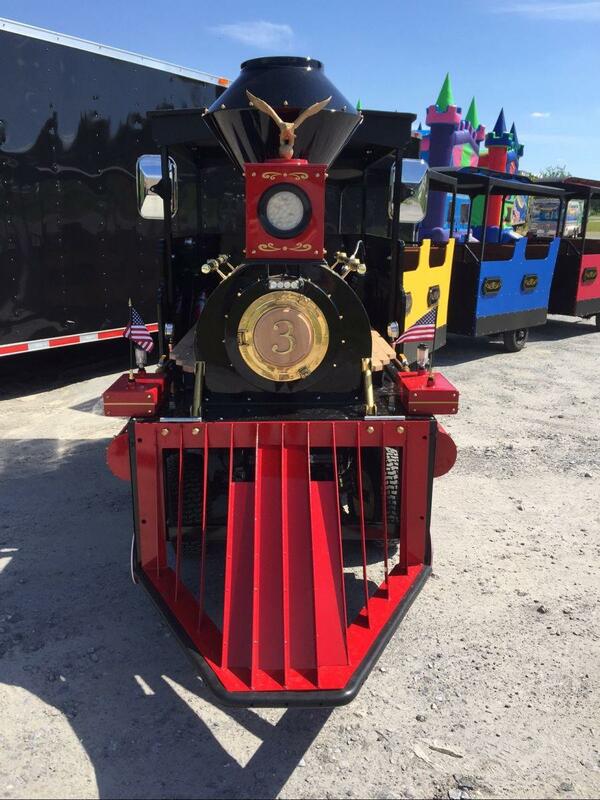 Our gas locomotive mimics the historic steam engines that travelled across the United States back in the day- right down to an authentic 1800's functioning whistle. Trailing the locomotive are 3 cars which can fit upwards of 18-24 people. To futher amuse the riders, each car has stereo sound which plays various tunes and commands. From "All Aboard" to various songs. This is guaranteed to be the crowd pleaser at any event beit a Birthday, Festival, School event, Church or Corporate.